The British fintech firm is the latest UK company to be bought out by foreign firm, following Costa Coffee, SodaStream, and Sky, among others. UK fintech firm WorldPay, a payment processing company formerly owned by the Royal Bank of Scotland, was bought out by US fintech giant Fidelity National Information Services (FIS) for roughly £32bn ($43bn), or £26.5bn ($35bn) plus WorldPay's debt, the companies announced on Monday. The European Commission approved the sell-off in 2010, forcing RBS to sell WorldPay and other companies overseas in order to secure state aid from the bank. Since then, the fintech company has enjoyed skyrocketing value as shoppers turned to credit cards and online payment systems. Formerly Streamline, RBS renamed the company RBS Worldpay. But a year later, Avent International and Bain Capital bought out WorldPay for £2bn, leaving RBS with 20 percent of total shares. RBS later sold its remaining stakes in 2013, with WorldPay selling its share on the London Stock Exchange in 2015. US payment processing firm Vantiv then bought WorldPay in January 2018 for $10.4bn and renamed the merged firms WorldPay. Shares of European payments systems firms such as Ingenico, Worldline, and Wirecard rose on Monday followed by the merger. Worldine's shares rose 3.1 percent and software group Atos's shares also increased 1.2 percent, Reuters reported. What Was in the Deal? 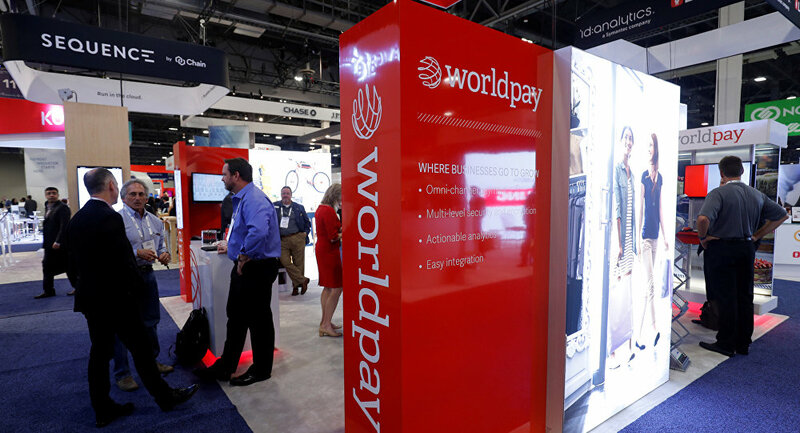 WorldPay said in a Monday press release that the combined company would combine roughly $16.3bn ($12.3bn) in revenue in 2018, with FIS forecasting growth between six to nine percent up to 2021 and $500m in anticipated revenues. FIS chairman Gary Norcross will remain chairman of the board of directors, president and CEO of the new company, with WorldPay executive chairman and CEO Charles Drucker becoming executive vice-chairman. "Scale matters in our rapidly changing industry," Mr. Norcross said in a press statement. "I have never been more excited about the future of FIS." This is not the first time that a UK firm has been sold abroad, with major UK firms Costa Coffee, London Pride, and others being acquired by foreign companies. UK drink company Costa Coffee was purchased by US food and beverage monolith Coca-Cola in August last year for £3.9bn ($5.1bn) in order to help the franchise pay off its company debt and contribute to pension fund schemes, as well as to help Costa focus on its UK and German markets for its Premier Inn hotel chain. SodaStream, another former UK firm dating back to the early 1900s, was sold to Israeli beverage firm Soda-Club in 1998 following decades of popularity and closed its Peterborough factory in 2003. PepsiCo later acquired the controversial drinkmaker for $3.2bn in August last year amid reports that SodaStream had been abusing Palestinian employees at its Ma'ale Adumim and Levahim factories, sparking international backlash from the Boycott, Divestment and Sanctions movement. US media monolith Comcast also claimed UK media corporation Sky in September last year for $40bn, outbidding competitors and taking more than 30 percent of the company's global shares but later sparking outcry form investors who voiced concerns about the buyout price.